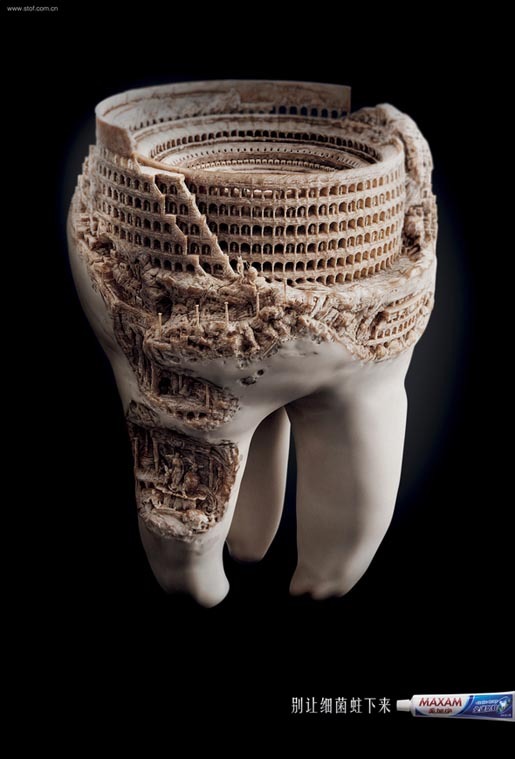 Maxam Toiletries presented the case for their brand of toothpaste in “Civilization-Egypt” and “Civilization Rome”, showing ancient ruins in the context of molar teeth. 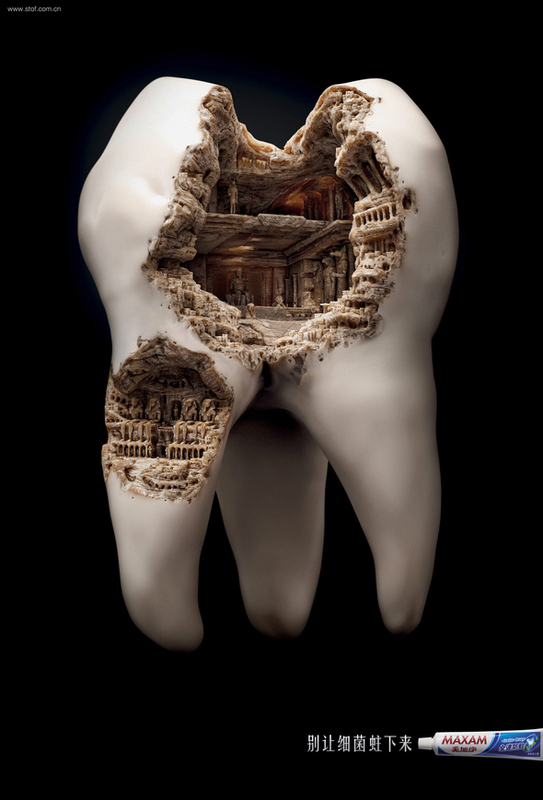 “Don’t let germs settle down.” The campaign won Gold Outdoor and Gold Press Lions at Cannes International Festival of Creativity. The Civilizations campaign was developed at JWT Shanghai by chief creative officer Yang Yeo, executive creative director Elvis Chau, creative director Hattie Cheng, copywriter Chanfron Zhao, art dircectors Haoxi Lv and Danny Li, print producers Liza Law, Joseph Yu, Isaac Xu, Chivel Miao, photographer/illustrator Surachai Puthikulangkura at Illusion, illustrator Supachai U-Rairat, producers Somsak Pairew and Anotai Panmongkol.